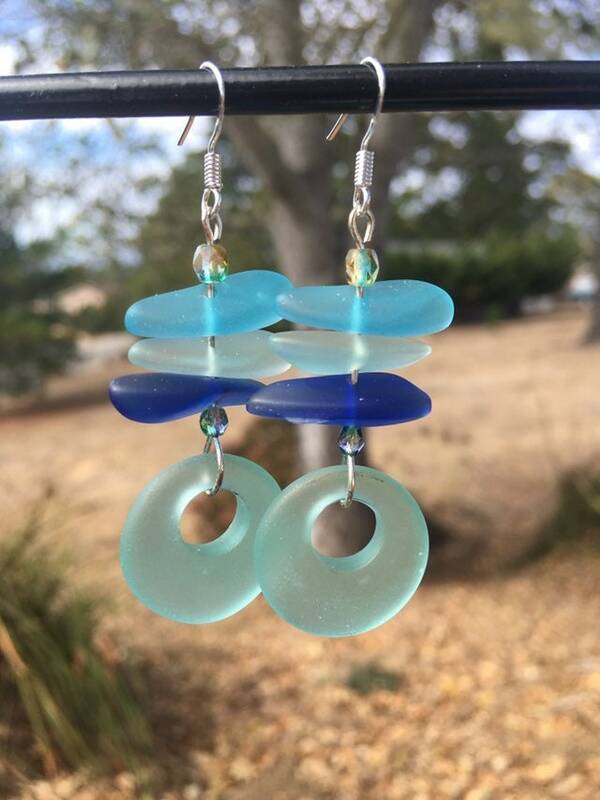 Beautiful and unique, sea glass earrings. These are 3" long. The earring hooks are .925 sterling silver.